Time and again Vadra had alleged that he is being “hounded and harassed” to subserve political ends. New Delhi: Special CBI court on Monday granted anticipatory bail to businessman Robert Vadra in money laundering case. Special Judge Arvind Kumar granted the relief to the son-in-law of UPA chairperson Sonia Gandhi on furnishing a personal bail bond of Rs five lakh and a surety of the same amount. Court also allows anticipatory bail to his close aide Manoj Arora. While granting relief, the court said Vadra will not leave the country without prior permission. It also imposed certain condition such as – (a) Both Robert Vadra and Manoj Arora will have to join the investigation when called. (b)No tampering with evidence or influence witnesses. The Enforcement Directorate, which had questioned Vadra several times, opposed the plea, saying his custodial interrogation was necessary for the probe. The case is related to the ownership of overseas assets worth 1.9 million pounds in London. Last year on December 7, the ED had raided several of Vadra’s properties in Delhi-NCR and Bengaluru. 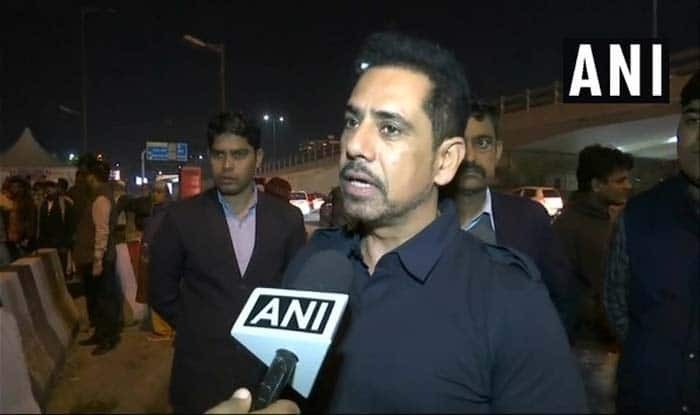 Arora, an employee of Vadra’s Skylight Hospitality LLP, was a key person in the case and he was aware of the latter’s overseas undeclared assets and was instrumental in arranging funds, the ED had alleged.